The Welch Allyn ImageTeam 3870 has been renamed to the Hand Held ImageTeam 3870. 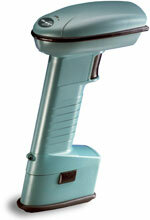 Handheld Products is pleased to introduce linear imaging technology in a cordless scanner. 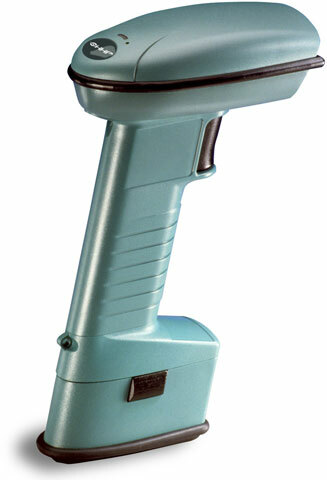 A bright sharp aiming line and high-resolution imaging combine to deliver barcode reading performance that was previously only possible using a laser scanner. The IT3870 joins a family of rugged and reliable cordless products including the SCANTEAM 2070 host interface base unit. The IT3870PDF is designed for aggressive reading performance on PDF417 and MicroPDF417. The IT3870HD reads high-density barcodes with dimensions as small as 3 mil. while the IT3870LX reads 15 mil. codes out to 18 inches. All of these configurations feature an IP 54 sealed-enclosure rating and the industry's best drop specification for cordless scanners. No Cable - Improves safety conditions by avoiding accidents and injury as a result of cables becoming entangled in equipment and machinery. Rugged Design - Long life in the field. Multiple Scanner Support - Increased productivity and flexibility without the added costs of additional bases and terminals.